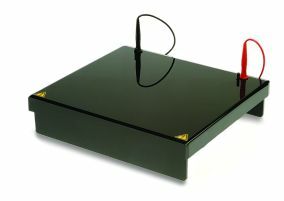 The COMET assay tanks are specialised electrophoresis units for Single Cell Gel Electrophoresis. The units are specifically designed to minimise exposure to light and reduce background DNA damage. Previously, units designed for standard electrophoresis have been used which with their clear construction have not offered an easy to use system. 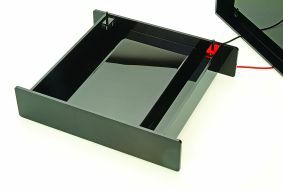 Constructed from Ebony acrylic to prevent UV degradation, the slides sit on a cooling platform which can be connected to a water supply or chiller for active temperature control and cooling.